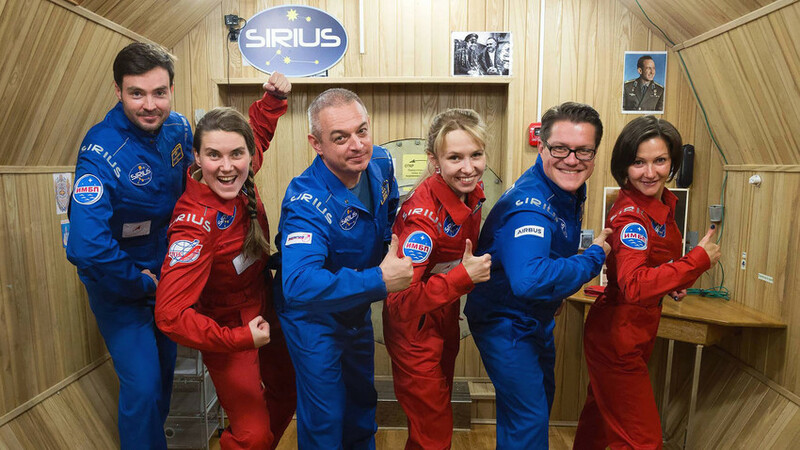 Three men and three women are heading to the Moon for 17 days. Living in isolation, they will conduct 40 scientific experiments. These fearless space travelers, however, never really left Earth. They are sealed in a simulated spacecraft in Moscow at the Institute for Biomedical Problems (IBMP). A new isolation experiment began on Nov. 7, and is part of a joint Russian-U.S. program Sirius (Scientific International Research In a Unique Terrestrial Station). 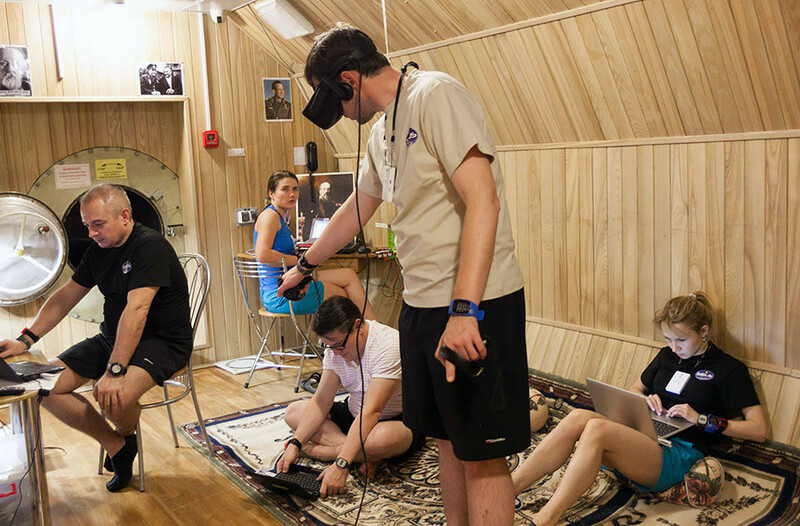 The experiment studies the impact of sleep deprivation on human performance, as well as how the right ratio of men and women influences a space mission. Russia is also interested in testing new technologies for its Federation spacecraft that’s now being developed to take people and cargo to the Moon. The project’s goal is to replace the aging Soyuz spacecraft that carries astronauts and supplies to the International Space Station (ISS). NASA is partnering with the Russian institute to “identify challenges or issues now, as opposed to during a longer duration mission,” said Lisa Spence, flight analogs program manager. The U.S. will work with IBMP to conduct at least three follow-up missions: a four-month mission in 2018; an eight-month mission in 2019; and a 12-month mission in 2020. The Institute for Biomedical Problems (IBMP) has conducted successful long-duration isolation missions since 1967, and one even lasted 520 days. “They have demonstrated an ability to do the type of missions we are planning to work up to,” Spence said. Sirius-17, is the first of several in the Sirius program, which will increase isolation to 365 days over the course of five years. Most crew members are researchers or cosmonauts in training from Russia. 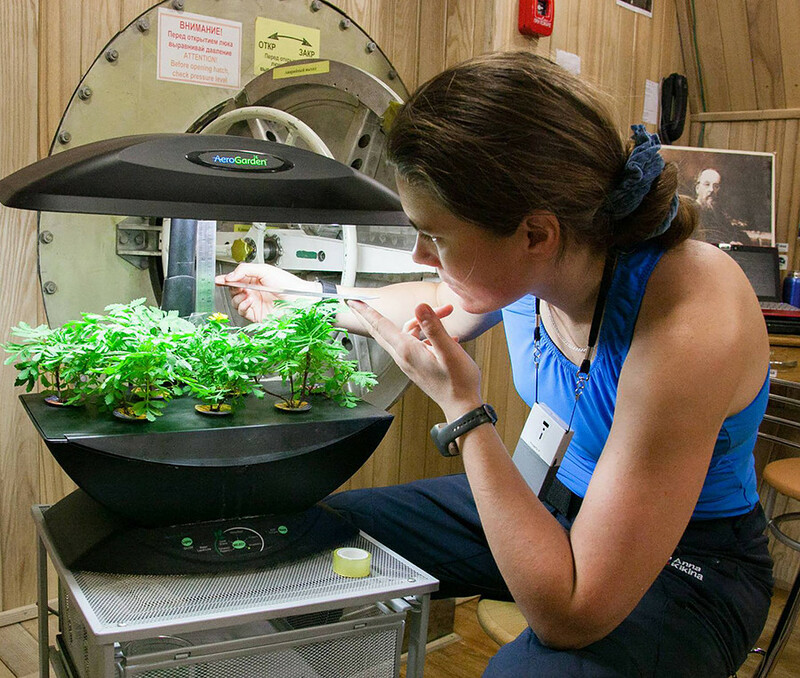 There is also one German citizen, Viktor Fetter, a specialist on growing plants in space. During the flight, participants have to write a diary, and Russia Beyond is the first to publish recent entries. Last night, I had the total impression of real flight: we communicate with Earth from the radio room and only with short messages. That’s real isolation ... Cosmonauts, by the way, say the Earth smells like apples; that's what we also sense. The day started from manually managing the model of the Federation spacecraft. We conducted the experiment immediately after sleep to make execution as difficult as possible … we coped with the task! This means that now we are a bit closer to understanding that the human-machine interface will ensure that we carry out our tasks during the flight to the Moon. The next session will take place when we are sleep-deprived. This means that our skills and equipment will be facing tougher challenges. All the food was completely experimental and developed for space flights, but they forgot to give us a key to open the tubes. Therefore, we made a homemade device from a wooden cutting board in order to squeeze the tubes. When we tested this tool, however, the tube burst because a piece of meat was stuck in the tube’s neck. 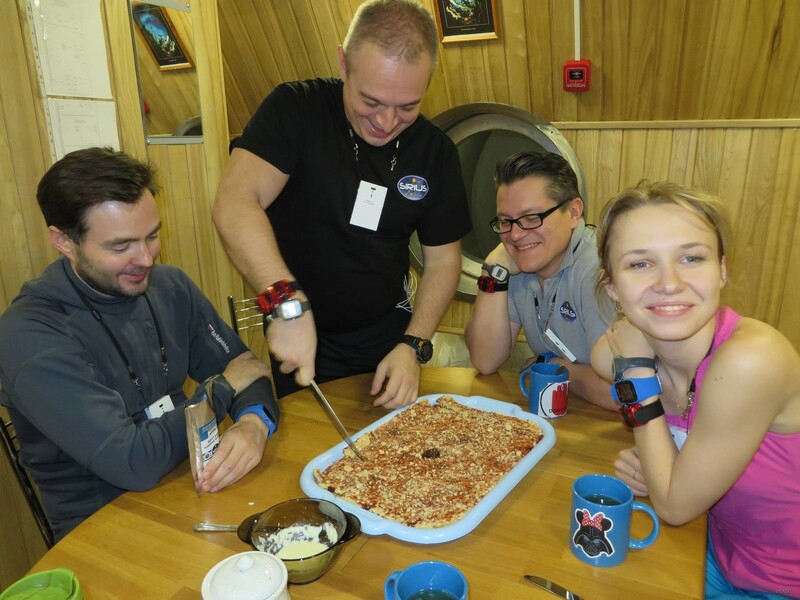 The developers are getting food diaries from us to further improve their products for real space flights. 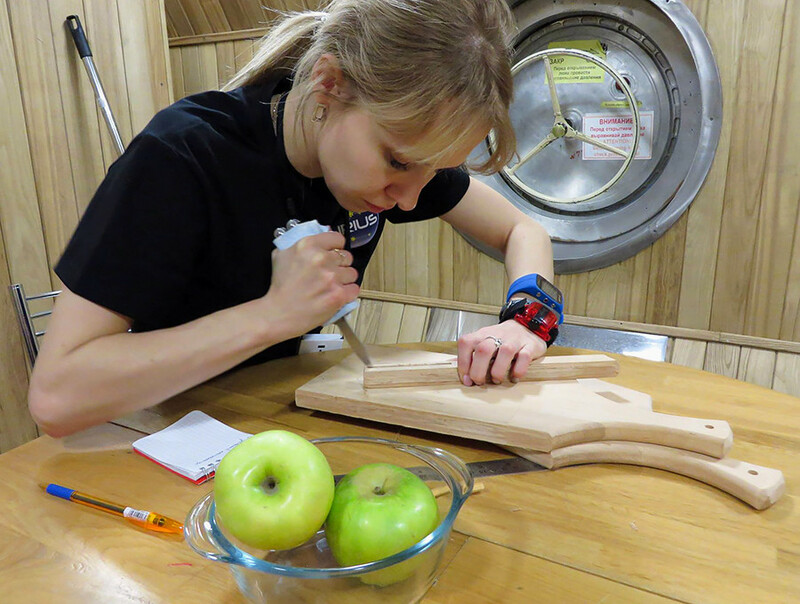 A homemade device from a wooden cutting board to squeeze the tubes with space food. The second day of the ‘flight’ is full of medical experiments. Of course, one of the strongest impressions is virtual reality. Full immersion! This is something amazing! As if I really flew on the modules of the space station! I watched as we flew over Italy - speechless! I could see mountains and rivers. And it’s possible to go out into open space - to see the starry sky, the Earth and the solar panels underneath. Everything is so bright! 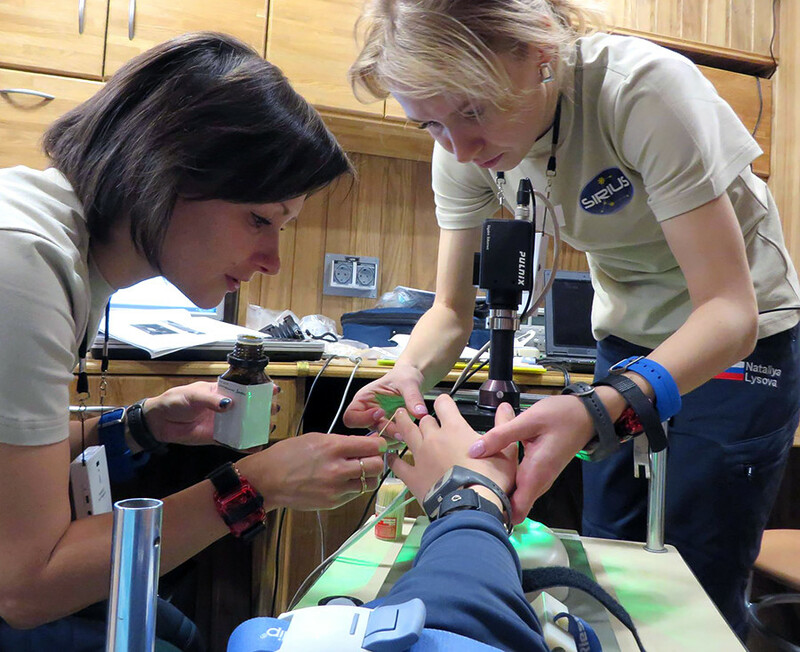 We study how our blood circulation has changed and assess fatigue during tests. Hi everybody! Today we finally reached the Moon and we had the chance to manage the moon rover. It seems this is my kind of thing… To celebrate the arrival we prepared mooncake, which probably was a surprise for the specialists looking after our nutrition. Check out the recipe, which you can try at home. Put the first layer of crispbread on the tray and add honey on top. Spread the next layer, and cover with strawberry jam; then wait until it becomes saturated (we didn’t have the patience). The cake lifted our spirits before the next stage of our experimental mission. New goals and tasks, new achievements and discoveries await us!